There are no more back and chest pains since we no longer struggle with the rope and bucket to fetch water. Our home hygiene has improved, since we now drink clean water and no more waterborne disease outbreaks. 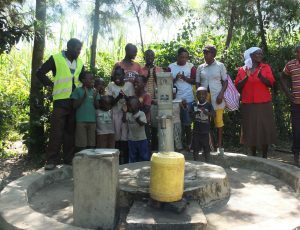 A year ago, generous donors helped rehabilitate a well with the Mukangu 1 Community in Western Kenya. Because of these gifts and contributions from our monthly donors, partners can visit project sites throughout the year, strengthening relationships with communities and evaluating the actual water project. These consistent visits allow us to learn vital lessons and hear amazing stories – we’re excited to share this one from our partner, Paul Weringa, with you. 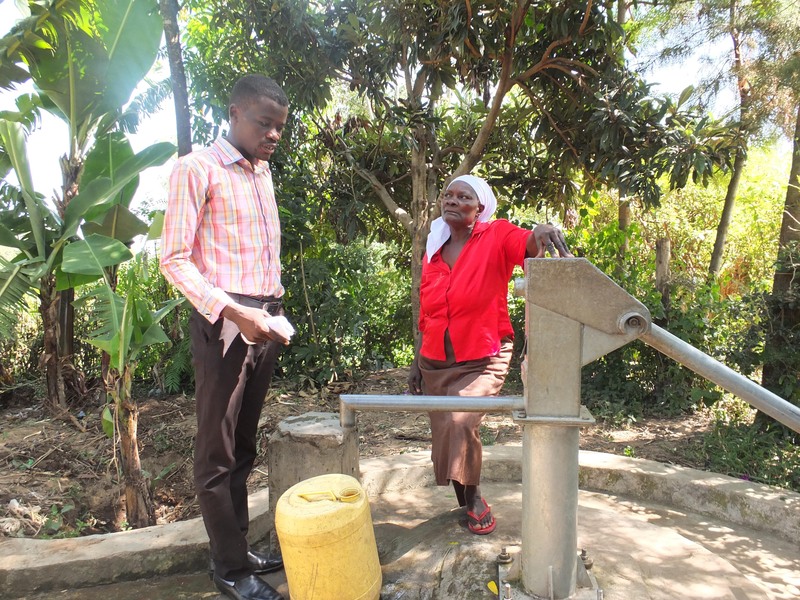 Community members are no longer constantly fighting typhoid from drinking dirty water. This has been made possible by the rehabilitation of the well. This water point used to be just a hole in the ground, accessed with a bucket tied to rope. With the installation of a well pad and pump, the water is no longer dirtied by contaminants introduced by the bucket, litter, and rainwater. If people were to pay their water user fees, there would be money available for regular maintenance. They have the idea that water should be free, but the well is really providing a service that needs to be maintained to ensure sustainability. Our team continues to engage with them on this through our quarterly monitoring visits and other trainings. When you invest in The Water Project, you're investing in people like Agripina Ambeyi. Your gifts help us reach more communities with the gift of clean, safe water. And every drop helps unlock potential.